Susan Luck is the Director of Nurse Coaching at Rezilir Health™. 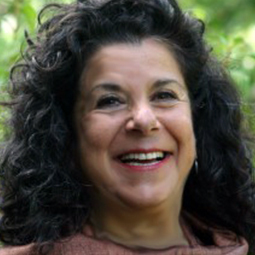 She is Board Certified in Health and Wellness Coaching, Holistic Nursing, and Clinical Nutrition. Susan has an extensive background in nursing, clinical nutrition, medical anthropology, and public health which she has used to help numerous organizations pioneer the emerging integrative health paradigm and establish wellness and health promotion initiatives. Her collaborations include: University of Miami Miller School of Medicine, Beth Israel Medical Center, American Holistic Nurses Association, Florida Atlantic University, Brigham and Women’s Hospital, NIGH Initiative for Global Health, and the annual international Integrative Health Symposium. She also is the Co-Director of the International Nurse Coach Association and serves as core faculty, teaching and developing coaching programs nationally and internationally. She works collaboratively with her nurse colleagues to bring Integrative Nurse Coaching into higher education and currently is teaches at Florida Atlantic University in the Master’s Program. In 1987, the American Holistic Nurses Association presented her with the prestigious Holistic Nurse of the Year Award. She is co-author of the award winning book Nurse Coaching: Integrative Approaches for Health and Wellbeing (2015) and The Art and Science of Nurse Coaching, an ANA Publication (2013), that led the way to establishing the standards for practice in the emerging Nurse Coach role. She has been an editor for Lippincott nursing textbooks on nutrition and herbal medicine and serves on the editorial board of the Alternative Therapies in Health and Medicine Journal. As a concerned global citizen, Susan is the founder and education director of the Earthrose Institute, a not-for-profit organization dedicated to environmental health education and advocacy for health practitioners and community organizations. For her own self-care, she takes a sunrise or sunset walk on the beach daily that serves as a reflective moment to give thanks for another special day.